RAIL UNION RMT today called for the mobilisation of the broadest possible political and public campaign to halt the proposed closure of the Springburn Rail Depot and the lifting of the threat to nearly 200 jobs and 160 years of train building, maintenance and engineering history on the site. In December last year, Gemini announced its intention to close the depot, threatening nearly 200 highly-skilled jobs. The Springburn depot carries out service, maintenance, repair, overhaul and upgrades on all of the ScotRail fleet. If the proposed closure goes ahead it will mean the repairs and maintenance of Scotland’s rail stock being carried out in England in what RMT calls an insult to the rail industry in Scotland and the sweeping away of 160 years of rail engineering history. The RMT call today comes nearly half way in to the 45 day consultation on the closure announced by Gemini on the 17th of January. 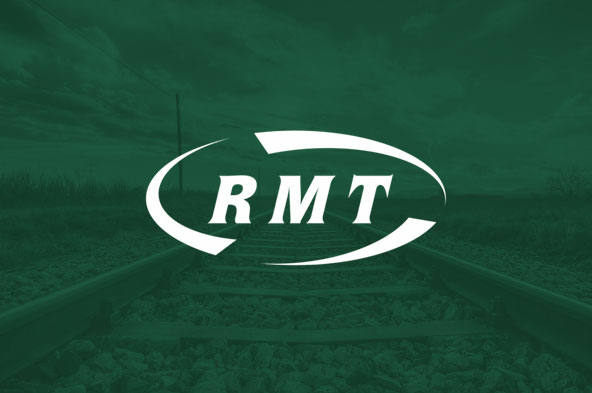 “The planned closure of the Springburn Rail Depot in Glasgow is an act of industrial vandalism that will not go unchallenged and RMT is calling for the broadest possible campaign to halt these proposals in their tracks. There is absolutely no time to lose as we approach the half-way point in the company’s 45 day consultation. “The skills set that our members at Springburn possess is simply irreplaceable and, without action from politicians and governments in both Edinburgh and Westminster, would be lost forever. This is just another example of the fragmentation of the privatised rail industry where prime assets are passed from one speculative owner to another and would mean that a proud railway nation like Scotland loses a key engineering resource at the stroke of a pen regardless of the consequences for jobs, training and the local economy. “I have written to the Scottish Transport Secretary, the convenor of the RMT Trade Union Group in the Scottish Parliament and other politicians and the Scottish TUC to mount a vigorous campaign to defend the Springburn workforce and ensure that train maintenance facilities remain at this historic railway site.